A Beautiful Cliff May inspired California Ranch home build in 1952. This lovely home features 3 bedrooms, 2 baths and has garden or pool views from every room. An impeccably maintained home that is flooded with natural light. Located at the end of a Cul-de-sac within the La Canada school district boundaries, this is the ideal place to call home. 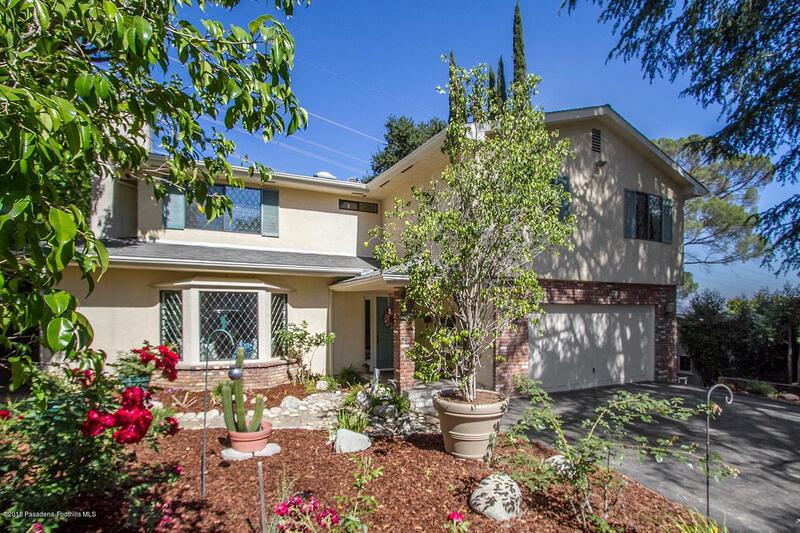 This beautifully updated Northeast Pasadena home is ready for you to move in. It has 3 bedrooms (1 is now is being used as a media room) and 2 amazing designer bathrooms. The master suite boasts a large closet with built in organizers and a bathtub that could be from a luxury hotel. The kitchen is light and bright with lots of counter space and stainless steel appliances, adjacent to a large laundry room. The living room has a beautiful fireplace that lights with a flip of a switch, skylight and adjoining open dining area. The large gated yard is wonderful for entertaining with an outside brick fireplace/barbecue and detached garage. You must see this home and get ready to move in! Charming home in Sparr Heights on Oak Circle. 3 Bedrooms, 1 baths, formal dining room, newly remodeled kitchen. Traditional living room with fireplace that is light and bright with coved ceilings. Laundry area off the kitchen. Entertainers yard with gorgeous stone patio with cover, grass and retreat area with mountain views. Other features include: soft close drawers in kitchen, newer AC, whole house attic fan, tank-less hot water heater, auto sprinklers. Fantastic Townhome living in La Canada with sweeping mountain and golf course views. This beautifully updated home features: dual pane windows, plantation shutters, crown moldings, wood floors, and tank less hot water heater. Incredible master suite with sitting area and fireplace and lots of built- ins. There are also 2 other generous bedrooms upstairs that share a full bathroom. The family room/formal dining room has a fireplace. Attached garage makes for easy access and has lots of storage. Large private patio for outdoor entertaining.